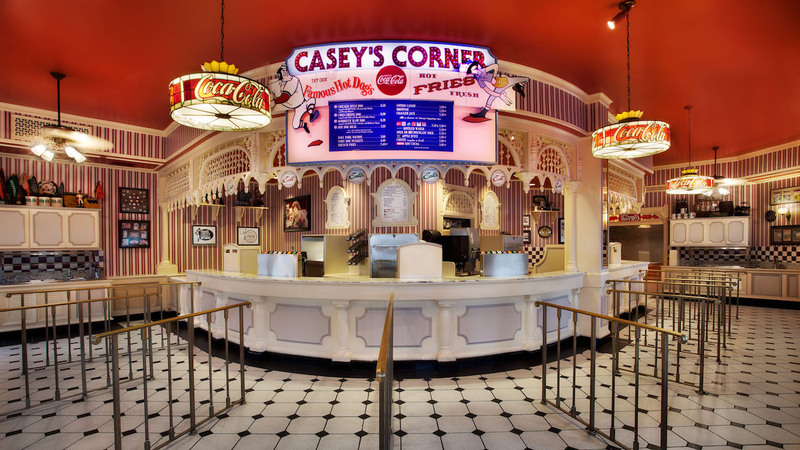 Disney recently announced the ‘Dine-on-the-Go’ single-day dining package for the Magic Kingdom. Included in the package is one entree and non-alcoholic beverage before 4pm and one entree and non-alcoholic beverage after 4pm. At $29 per adult, you’d have to average $14.50 per meal to break even. Let’s take a look at the different locations this deal is offered at and if we can really call this a “deal”. First, let’s start off with the fact that there are only 5 entrees that are more than $14.50. So if you’re the type of person who strictly gets the free ice water, this deal isn’t for you. With the Magic Kingdom recently getting rid of large size cups (more than likely due to this new offering), we’re going to average a drink at $3.29. That’s the cost of a soda. You can, of course, splurge a bit to try and make your money back by getting a $4.69 Odwalla All-Natural Lemonade, but we’re trying to work within the law of averages here. Assuming a soda, our average cost per entree dips to $11.20. That’s our mark. Let’s see what you can get at each quick-service location for $11.20 to try and break even on your ‘Dine-on-the-Go’ package. As you can see, there are plenty of options to get the most of your ‘Dine-on-the-Go’ package should you normally get a drink other than ice water. Out of curiosity, we wanted to see what the most expensive combination was that we could come up with that wasn’t eating and drinking the same thing at both meals. Assuming souvenir drinks were out of the question, here’s what we came up with. So, for a grand total of $41.17, we would have saved $12.17 by getting the ‘Dine-on-the-Go’ package. Of course, your mileage may vary based on what your favorite quick-service meal in the Magic Kingdom may be, but it looks like there are enough options to make this package worth it for the guest spending a full day in the Kingdom.